On October 18, Honda Indonesia announced the 2019 CBR150R that features new colours, graphics and a revised windscreen. After the launch of the 2019 CBR150R, Honda is preparing to introduce the CBR1000RR inspired tricolour livery for the CBR250RR. Photographs of the motorcycle were published by Japan based Young Machine magazine. 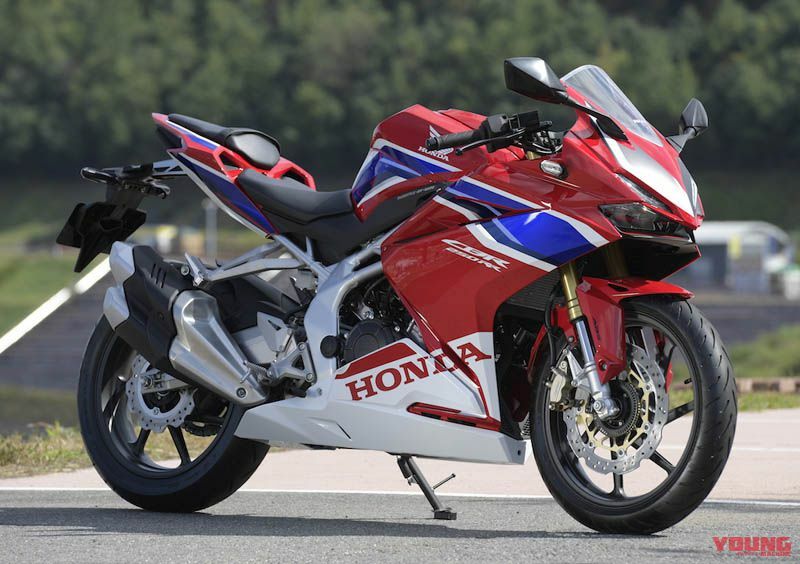 The Honda CBR250RR Tricolour is the finest looking colour option on the quarter-litre Japanese motorcycle. Sadly, the CBR250RR has been ruled out for India. The base paint is red with blue and white highlights across the motorcycle. The front gets black-white graphic above the full LED headlight. From the sides, the blue and white highlights run through the fairing, to the rear panel. 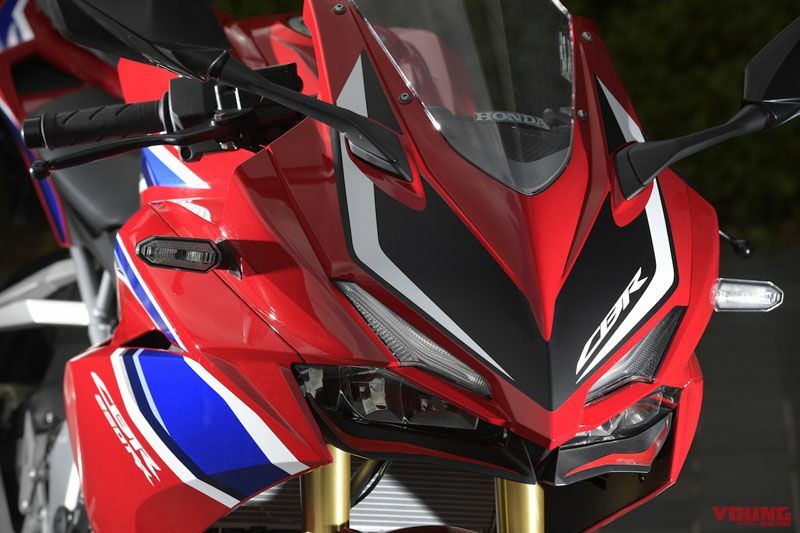 The CBR250RR and Honda branding are seen on the fairing. The changes are limited to graphics and the CBR250RR continues to use the same sharp design and hardware as the standard model. Apart from the Tricolour, the CBR250RR is sold in Black Freedom, Bravery Mat Red, Mat Gunpowder Black Metallic and Honda Racing Red colour options. Mechanical specifications are identical to the standard motorcycle, and the CBR250RR continues to use the 249.7cc, parallel twin cylinder, liquid-cooled, 4-stroke, DOHC 8-valve engine that delivers 38 PS of maximum power at 12,500 rpm and 23.3Nm of peak torque at 11,000 rpm. The engine can propel the quarter-litre Honda to a top speed of 170 kph. Features like ride by wire technology and three selectable modes – Comfort, Sport and Sport+ – come as standard. Hydraulic disk brake at front and rear provide the stopping power while the safety net of dual-channel ABS comes as standard. USD telescopic forks up front and a Pro-link suspension with a five-step adjustable pre-load at the rear perform suspension duties. The motorcycle features full LED headlight, LED tail light and LED blinkers. A full digital instrument console sits behind the windscreen. The saddle on the motorcycle is a split, step-up unit. There is no proper grab rail for the passenger but a belt runs through the pillion seat. The stylish, dual-tone exhaust pipe continues to give the motorcycle a sporty look. The Tricolour CBR250RR continues to use standard equipment that includes full LED lighting, dual-channel ABS, and upside down telescopic front suspension among others. The new Tricolour livery makes the CBR250R more desirable. Sadly, it is highly unlikely to see the RR badge quarter-litre on the Indian shores.